Novak completed the 2016 season with a 65-9 W/L record and seven titles won, and finished year as no. 2 for the second time in his career. 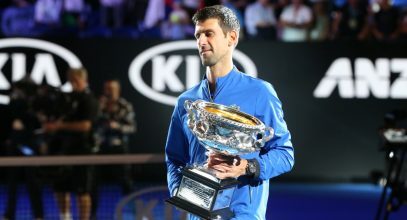 Brilliant Novak sets London final showdown with Murray! 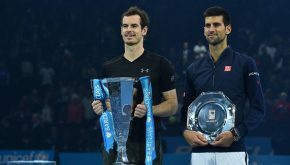 Sunday's contest between Novak and Andy Murray will be the first occasion in history that the year-end no.1 ranking is on the line at the title-match of the season finale. 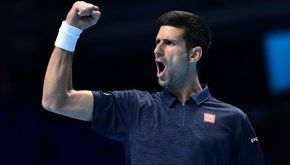 Novak beats Goffin in straight sets, faces Nishikori in semi-finals! 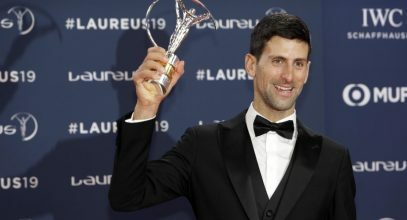 The defending champion kept up the pressure in the race for the year-end no.1 ranking with a convincing 6-1, 6-2 win over Belgian David Goffin on Thursday. 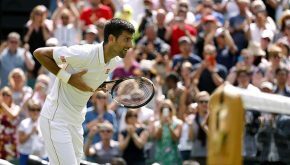 Novak topples Raonic for semi-final spot! Nole continued his bid for a fifth consecutive WTFs title with a 7-6 (6), 7-6 (5) win over Milos Raonic. 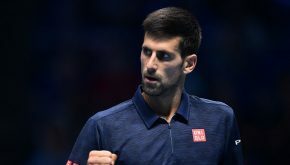 Novak won his opening match at the Barclays ATP World Tour Finals, rallying to beat Dominic Thiem 6-7(10), 6-0, 6-2 on Sunday. The world’s biggest indoor tournament begins on Sunday, November 13, at the O2 Arena in London. 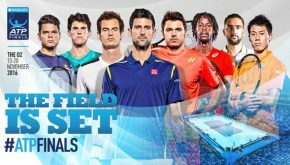 The world no.1 will defend four ATP titles from October 3 to November 20: Beijing, Shanghai, Paris and the ATP World Tour Finals in London. In his 10th appearance at the Barclays ATP World Tour Finals, world no.1 will attempt to win a record-tying sixth title. The American ended Novak's remarkable Grand Slam winning run, downing the top seed and defending champion 7-6 (6), 6-1, 3-6, 7-6 (5). Nole captured his 30th straight Grand Slam win beating Frenchman Adrian Mannarino 6-4, 6-3, 7-6 (5).